This week my colleague Amy Kostine and I are working to finish the boots-on-the-ground survey of the Trail of Tears, focusing on routes in Arkansas, Missouri, and Oklahoma. 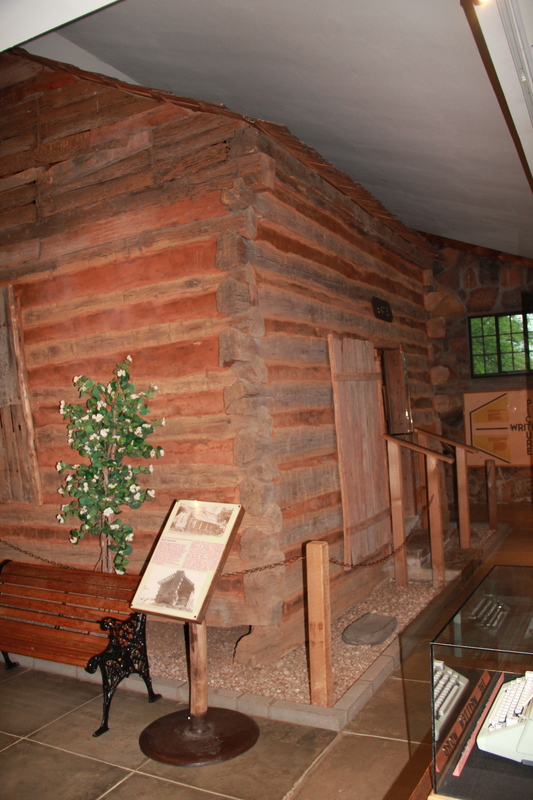 Once acknowledged as Indian Territory, Oklahoma today has a very interesting state historic site focused on Sequoyah–the Sequoyah Cabin, where he lived from the late 1820s through the 1830s, when thousands of Cherokees began to arrive in Indian Territory from the Trail of Tears in 1838 and 1839. . 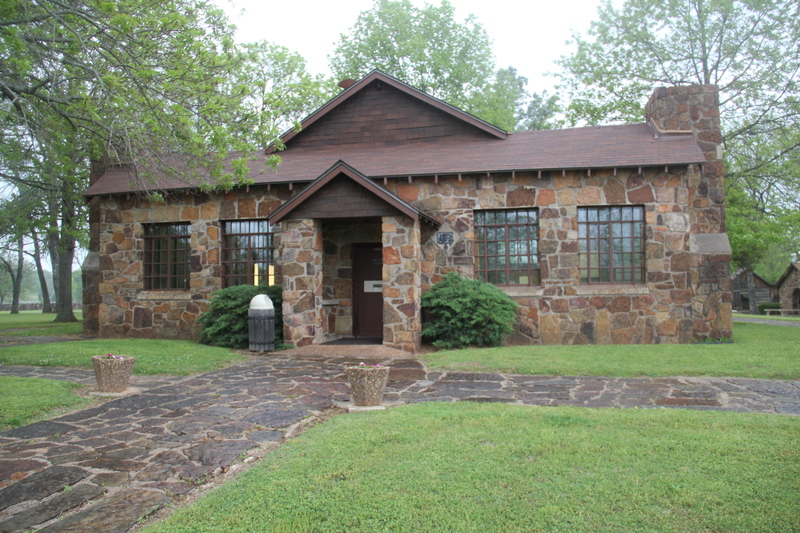 The small square cabin is encased in a very 1930s looking stone veneer memorial building, designed by Willard Stone and executed by the Works Progress Administration in 1936. 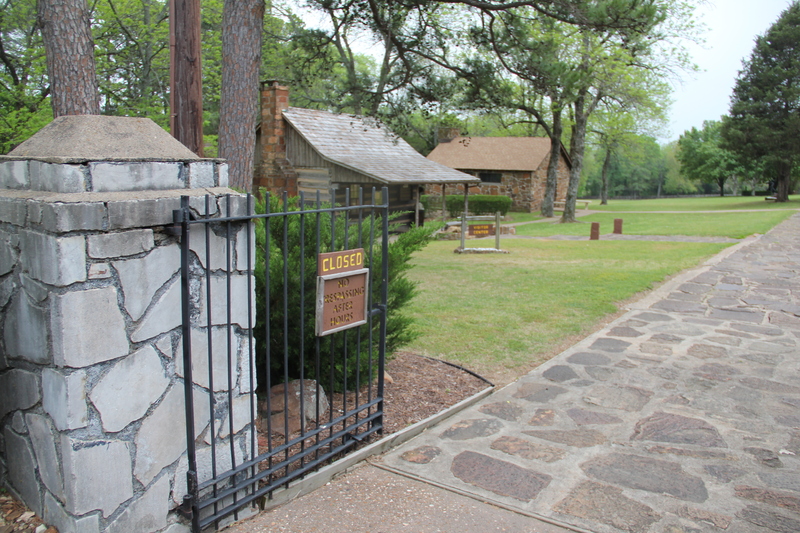 Indeed, the entire park is a WPA wonderland, with a stone wall lining the boundaries, a stone water tank, stone restrooms, and a log visitor center, which the WPA crew made from a second cabin that had been attached to the Sequoyah Cabin in the mid-nineteenth century. 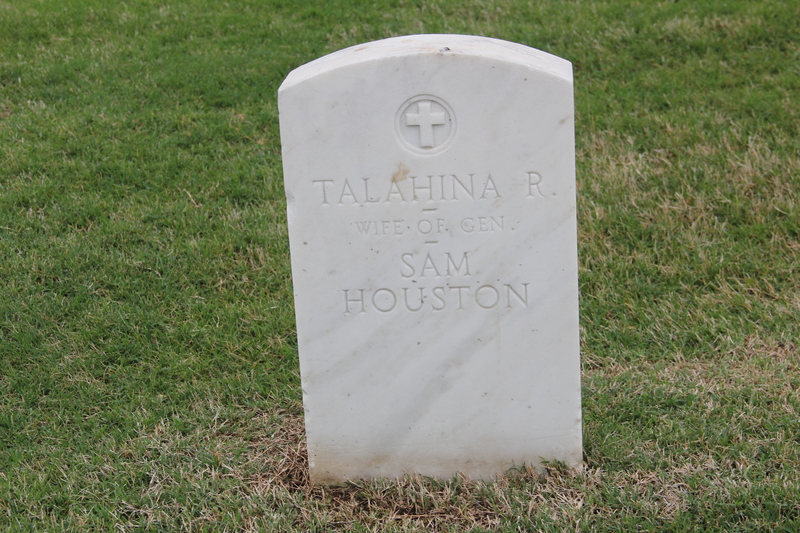 Another famous Tennessee Cherokee that I encountered today was at the grave of Talahina, the Cherokee wife of Sam Houston, at the Fort Gibson National Cemetery in Oklahoma. She is buried in a circle of honor around the flagpoles in this historic and very moving cemetery. 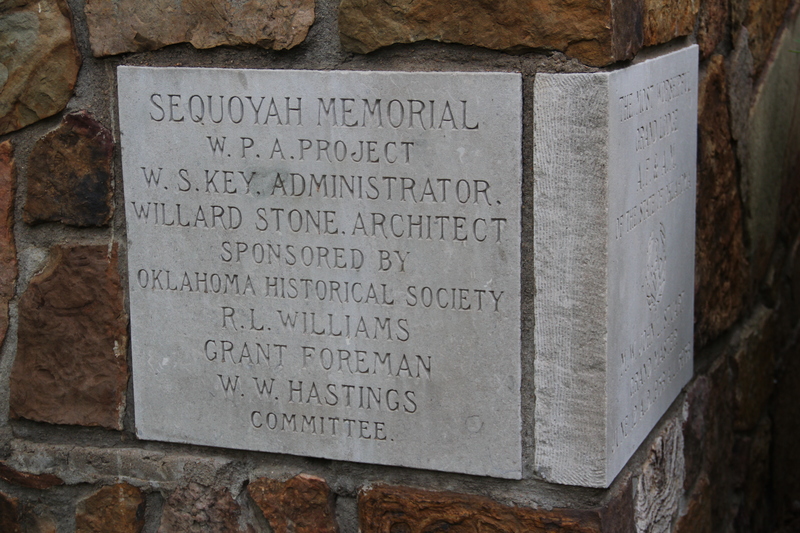 This entry was posted in Uncategorized and tagged Cherokees, Fort Gibson National Cemetery, New Deal, Sallisaw Oklahoma, Sequoyah, Talahina, Tennessee, Trail of Tears, Works Progress Administration on May 8, 2014 by carrollvanwest.